what have i missed? what have you done to your knee? i told you to be careful on the trampoline. Have you heard Chandelier by Sia? Great song. 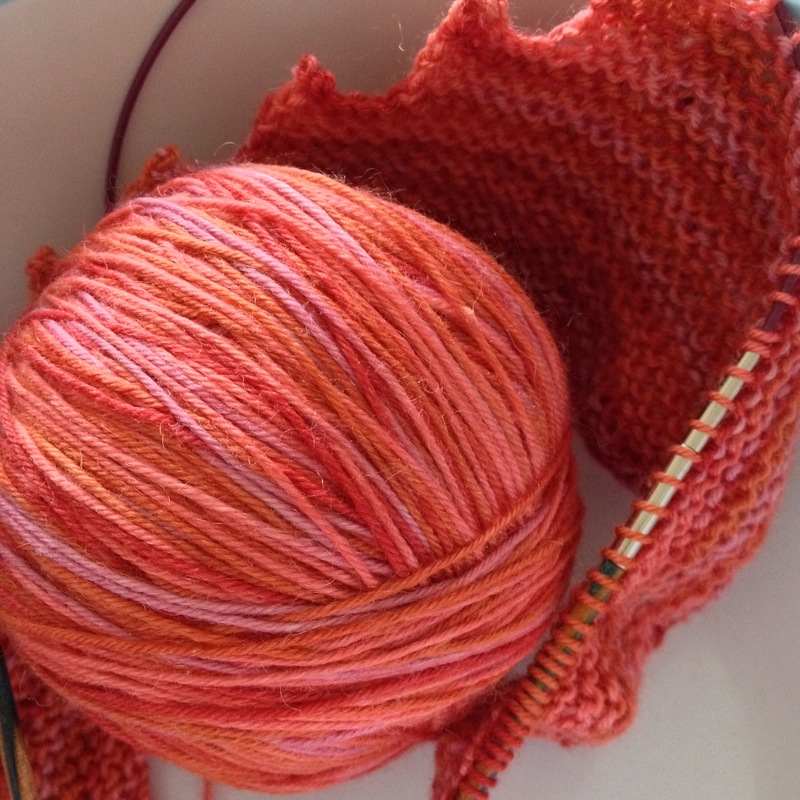 What a gorgeous yarn Rachel. Yes I believe they have sold 18,000 it is a beautiful pattern. I have made one and I loved it. I gave the one I made away , but I always thought to make one for myself. Maybe I will do that while I am in Brazil this summer. Have a great weekend ! Hitchhiker is on my list too. 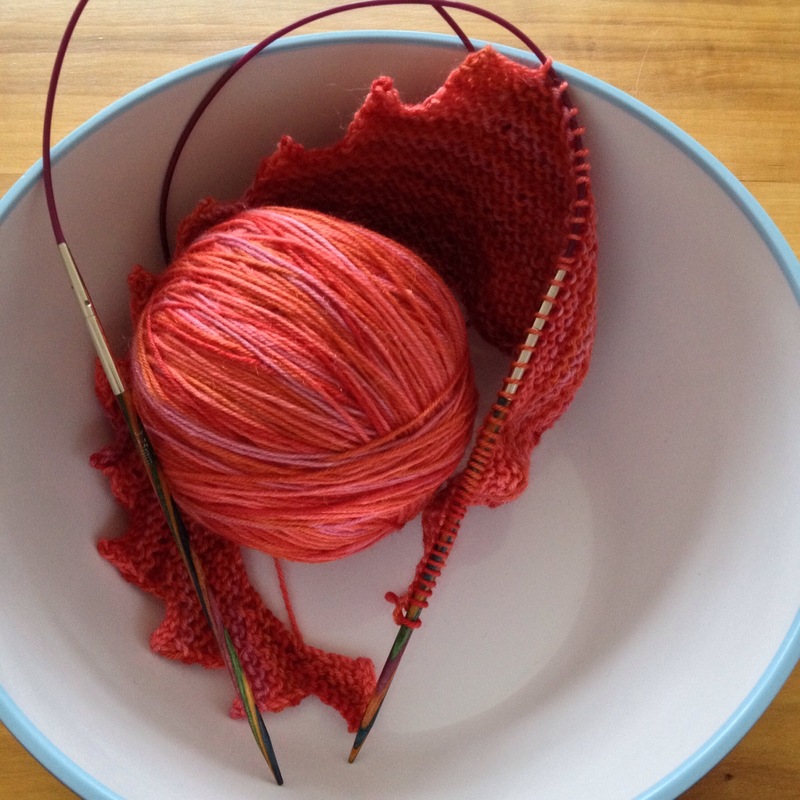 Yours will be beautiful in that yarn. Love hitchhiker! That is glorious yarn. And I don’t think you’re spamming us! I just started the Hitchhiker also! My yarn is sort of dark tho – green with a darkish brownish/purple. If I end up liking the finished product, I will make another in a brighter shade. I love your color! 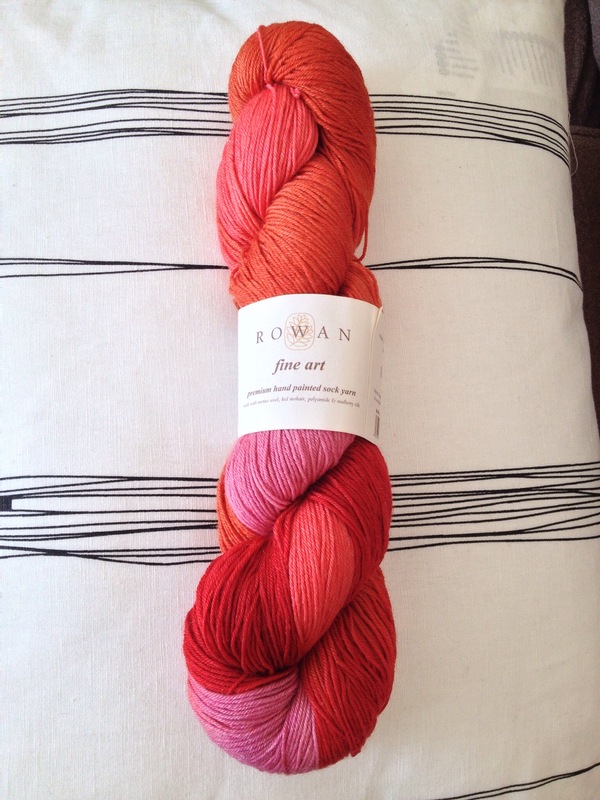 I’ve never used this Rowan yarn before – but I look at it each time I go to the yarn shop. 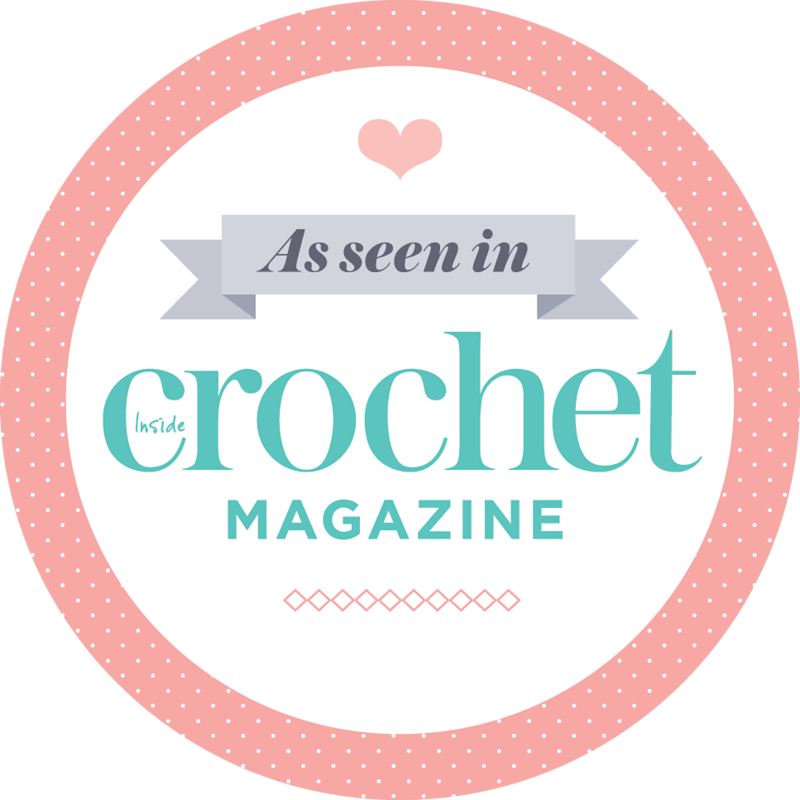 Mine is by Lorna’s Laces…. I wish I had designed this pattern and all the ones by Stephen West. He sells tons of his too! Interesting. I been looking at his pics on IG lately, will have to check out his patterns. The Rowan is expensive, I bought it with birthday money last year. The colours are so gorgeous! 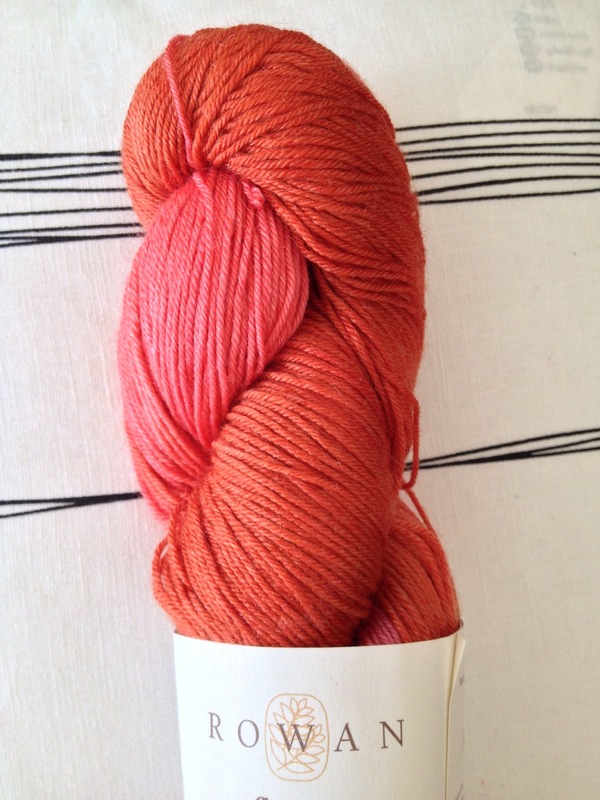 I love the pinkish orange melon in this skein. Hitchhiker is an awesome pattern. Yeah, I had wished I had designed it also! 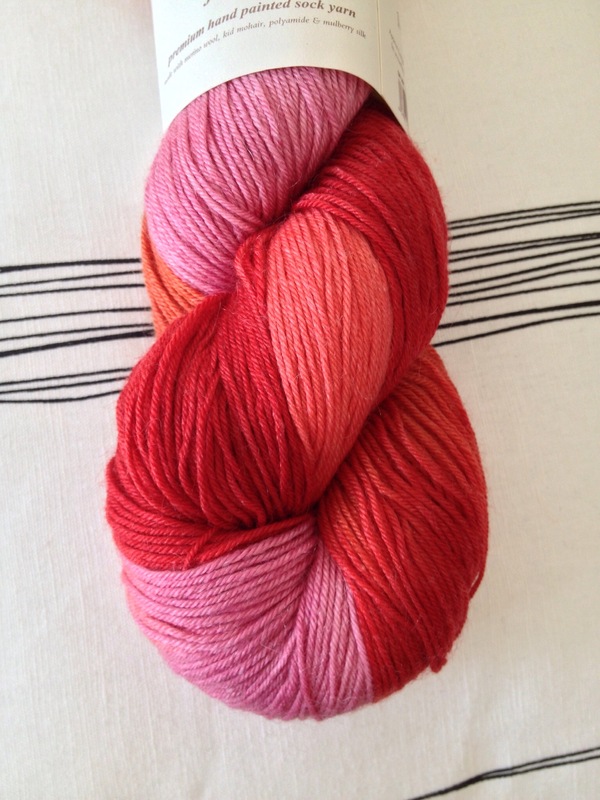 Red, pink, orange and ‘rust’ – just gorgeous! Sure it will be a lovely scarf. I am not really into scarves or I might be tempted too! Hope your knee gets better soon. No fun being poorly. Love the yummy colors in your Hitchhikers (one of my all time favorite books). Your post inspired me to try knitting again. I have a nice Madeline Tosh Light Merino yarn in Aqua that I hope will be welcome for an August birthday gift. Hope you’re on the mend soon!